Behavior…the way in which an animal or person acts in response to a particular situation or stimulus. For Your K9 is devoted building relationships between dogs and their people. As trainers, we believe, we are the interpreters to help humans understand their dogs. Understanding is key to any relationship, that is our focus. The more our pet parents know and understand about dog behavior the better the relationship. When working with dogs, we look at the mind, body and spirit of the dog. Physical issues can affect behavior immensely. 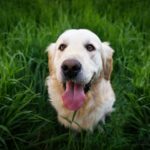 The emotional health of the dog is critical, certain training methods can affect an animals emotional health and their ability to handle stress’ of training or daily life. The mind, the most fascinating place where everything happens. Today, science is making progress in the areas of animal cognition and animal training. It’s a wonderful time in animal behavior. Our behavior services range from behavior consults, behavior workshops and classes. We deal with all behavior problems such as, dog to dog aggression, dog to human aggression, resource guarding, etc. Check out our calendar for behavior classes & workshops.